Many Pentax DSLR owners want to use M42 screwmount (Takumar) lenses, or M or K manual lenses, on their cameras because of the low cost and relatively high image quality of these lenses. If you're wondering whether or not these lenses can be used with Pentax DSLRs (or the K-01), then the answer is yes! Pentax as well as third-party manual and screwmount lenses can easily be mounted on any Pentax DSLR (such as the K-1 series, KP, K-3 series, K-70, K-S2, K-S1, K-50, K-500, K-30, K-5 series, K-r, K-x, K-7, K10D, K100D, K200D, *ist D, etc.) Just follow this guide! Modern Pentax DSLRs use the Pentax "K-mount", which employs a bayonet and therefore differs significantly from the M42 screw mount. The older manual M and K (SMC Pentax-M, SMC Pentax) lenses actually use the bayonet, so they will not need an adapter - you can skip straight to the lower portion of this article (starting at "Important!") for information on how to meter with those lenses. 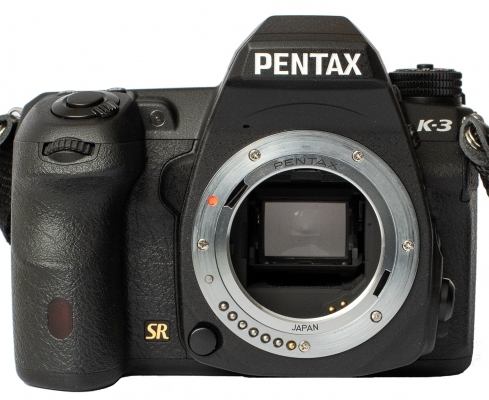 Screwmount lenses usually have "Takumar" in their names, and in order to mount screwmount lenses on your k-mount body, you'll need a Pentax k to m42 adapter. Pictured above is the genuine Pentax adapter, which is ideally the one you want to get. Similar third-party adapters are also available. Caution: Many third-party adapters, such as this one, have a protruding flange which will prevent you from focusing all the way to infinity. If you want to buy a third-party adapter (they're generally cheaper), make sure that they don't have this flange. Here's an example of a good third-party adapter. Once you have your adapter, the next step is to install it on your camera (it can easily be put on and removed on-the-fly). Check out the m42 to k adapter manual. After you've installed the adapter, you'll want to mount the lens. This is done by screwing it into the camera until the lens feels firmly attached. The focusing window and lens ring should line up with the camera just like any other lens. Now that your lens is mounted, let's talk about how to take photos with it. Important! The hard part is to get the camera to actually fire when a manual lens is mounted. In order to accomplish this, enter your camera's custom function menu, select the "Using Aperture Ring" setting (usually at the end of the menu, #21 on the K-7, #27 on the K-5, #27 on the K-3, #26 on the K-1), and set it to 2 (allowed). Once you do this, the shutter will at least fire, as it wouldn't have with this setting disabled (you would simply have seen an F-- indication on the top LCD/info screen). The setting description should read: 'Shutter will release when aperture ring is not set to the "A" position' when "allowed" is selected. Also note that the mount on the lens must be conductive for electrical current so that it shorts the electrical contacts on the camera body. All Pentax manufactured lenses have a conductive mount, but some third party lenses do not in which case the area of the mount touching the contacts must be sanded down. K-30, K-50, K-500, K-70, K-S1, K-S2 and K-01 users: make sure you also set your green button "action in M/TAv Mode" to Tv SHIFT. This is found under the button customization menu (page 3 of the main menu) on the K-01 or as a custom function on the K-30, K-50 and K-500. On the K-S2 and K-70, look under the e-dial programming sub-menu under button customization in the record menu. Finally, ensure that auto ISO is disabled. At startup, if your camera asks you for the focal length, enter the actual focal length as labeled on the lens. This will ensure optimal Shake Reduction performance. For zooms, you can use the lower end of the zoom range (this ensures that there will be no over-compensation), or the focal length that you shoot at most often. 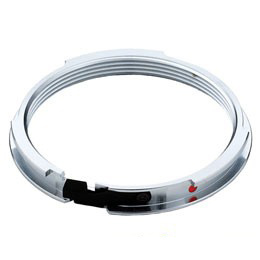 Using the aperture ring (the ring at the very back of your lens; it will have numbers such as 2.8, 4, 5.6, 8 written on it), select your desired aperture setting. Note that the smaller the aperture number is, the more light passes through the lens, and the blurrier the out of focus areas of your photograph will be (and vice-versa). Note your lens will not stop down until step 5. [Screwmount lenses only] Switch the diaphragm clutch on your lens to "Manual" (you can leave it on Auto when composing and focusing if you don't want a dark viewfinder). Measure the light by either pressing the "Green Button" (older bodies may use the Av button), or pushing your power button to DOF preview mode (only available on high-end bodies). Your camera will automatically set the shutter speed for you. Note: if your aperture ring has an "A" on it, instead of doing stop-down metering as per this guide, you'll want to set the ring to "A" and use the camera's scrollweel to adjust the aperture via Av mode. Click here if you found this article helpful! Last edited by Ole; 02-12-2011 at 11:46 AM. I've just come across a Super Tak 35mm f3.5 with the adapter and having a grand time with it. You might like to add the convenience of using m42 lenses with the camera in Aperture mode! One of the advantages of the m42 adapter is there is NO communication between camera and lens. This allows you to use the camera in Aperture mode, and the camera will set the shutter speed automatically. Of course it is your responsibility to make sure your lens is set to manual mode... I set the lens to auto mode to focus in full open aperture, then move to manual mode to stop down to my selected aperture. The camera's metering will choose the correct shutter speed. Are m42 lenses then effectively more handy than A, M or K lenses? - Or can you do the same trick with those? Very useful and concise guide. The Takumar 28mm f3.5 is a beautiful lens. I still have the one I purchased in 1974. I used it at that time also to do astrophotography which is very demanding regarding image quality. It has no noticeable coma in the edges, even when used at full aperture - a property I have not encountered since with more modern lenses. is there any problem with installing the adapter to the lens and changing lenses normally? that is, having several M42s each with their own adapters that you leave on them full time? I think that would be less practical because you would not be able to put the rear lens cap on the lens when storing in your bag with the adapter on. Not to mention it would be more costly; the cost of the adapter is about $30.00. Thanks Adam. I was seriously thinking of buying the 1.4 50mm, but now I think I'll use the 1.4 super tak from my dad's old spotmatic. It's in mint condition to boot! A small note. The OEM Pentax adapter can appear to be stuck even after pushing the lens release button; unscrewing the lens seldom draws the adapter along with it. A little bit of gentle but firm pressure with your figure(s) will get it to move. This is due to the fine tolerances in machining the plate. No, M and K lenses cannot be stopped down when the camera is in Av mode (or any other mode than M). So M42 lenses are actually more convenient to use from that aspect. Overall the M/K lenses are easier to use, though, because you have no adapter to fiddle with.